The new Justice Stress video which seems to be filmed in a Banlieue of Paris is just crazy. Some people I know find it too violent but i felt it generally suited the sound of the song as well as it being filmed well. It has the feeling that it was more of a documentary of the days events and a film crew just happens to be following the group. 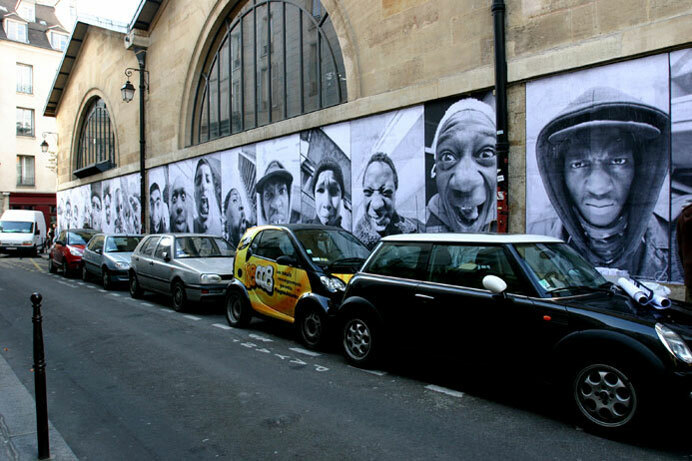 Because of the location of the video it reminded me of the photography/street artist JR. All of his projects are social and cultural commentaries of life. The following was taken from his site. JR is 25 and he owns the biggest art gallery in the world. He exhibits freely in the streets of the world, catching the attention of people who are not the museum visitors. His work mixes Art and Act, talks about commitment, beauty, freedom, identity and limit. He is an artivist, extract of artist and activist. After a tour of European Street Art (Carnet de Rue, 2005, Free Press ed. 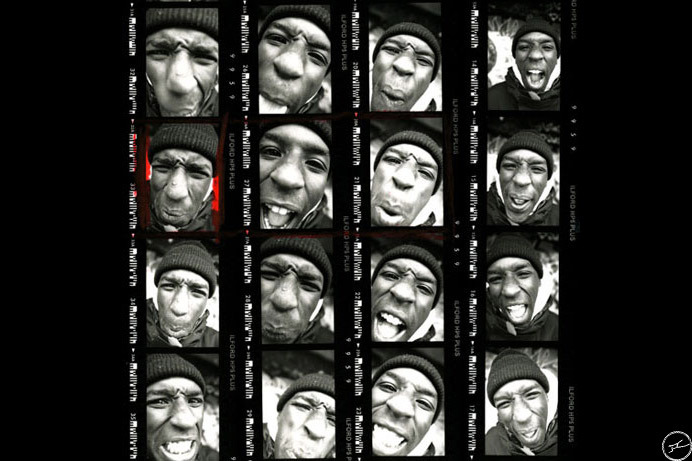 ), he did in 2005 Portrait of a generation, portraits of the suburban “freaks” in the Bosquets (Montfermeil) and la Forestière (Clichy-sous-Bois) ghettos that he posted in the bourgeois districts of Paris (Portrait d’une génération, 2006, Alternatives ed.). With a 28 millimetres lens, the photos are taken very close to the person. He uses black and white to differentiate from the advertising colour aggression. 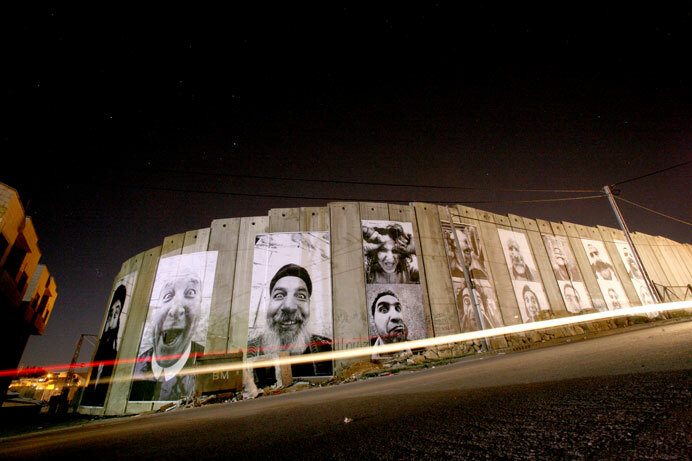 In March 2007, together with Marco, he did Face 2 Face, the biggest illegal photo exhibition ever: eight Palestinian and Israeli cities, and the Security fence / Separation wall on both sides. They posted the huge portraits of Israelis and Palestinians face to face. Through this project, we showed that he can break the limits of possible (Face 2 Face, 2007, Aletrantives ed.). The 3rd stage of the 28 millimeters project - Women Are Heroes - has already led him to Africa in post-conflicting zones to shoot the women with who he wishes to share painful stories and to testify of their desire to live. Their portraits were already pasted in Sierra-leone and in Liberia. In 2008-2009, JR will develop this project in India and in Asia. Justice - Stress from Sébastien Delahaye on Vimeo.